Why is Geoff Barrow like a London bus? You wait ages for an album and then three come along at once. Badoom tish OK, so we've not exactly been waiting ages – not when you consider that Barrow is one-third of Portishead, who left a yawning ten-year gap between albums. 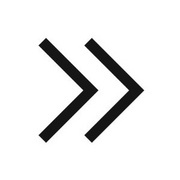 But it has been three years since the first BEAK> album, and four since Portishead's third album, Third, so the sudden emergence of a trio of records from Barrow is a surprise. The motivation behind this purple patch seems simply to be a determination from Barrow to "make some music" and to indulge his three boyhood musical passions – hip-hop (Quakers, the dark and heavy old-school hip-hop album from a sprawling 35-strong collective, released on Stones Throw); John Carpenter's hypnotic synthesizer score to Assault on Precinct 13 (DROKK, his collaboration with the composer Ben Salisbury of drone-heavy synth pieces inspired by Mega-City One); and Krautrock with >>, the second album from BEAK>, an improvisational three-piece formed with the respected Bristol musicians Matt Williams (Team Brick) and Billy Fuller (Fuzz Against Junk). There almost wasn't a second BEAK> record. On returning from a tour in support of their acclaimed first album (>), Barrow, Williams and Fuller convened to start recording the follow-up. But as soon as they picked up their instruments they realised that something was horribly wrong. Touring had turned them into "a truly awful-sounding pub prog-rock band", according to the press release. "The magic had gone. The band were thoroughly moribund." The intimation is that the magic was located again, or else there wouldn't be a second album – Barrow doesn't go through the motions – and >> is definitely not the sound of a band in decline. Making a BEAK> record is the antithesis of Portishead's notoriously painstaking studio methods. BEAK> created their debut album out of 12 days of improvised sessions, with the resulting jams edited into song form. No overdubs. These recording methods were utilised again on >>, the only real difference being the bringing of the synthesizers to the fore in the mix. The first noise you hear on >> is a synth, as Barrow's work on DROKK bleeds into opener 'The Gaul'. The sinewy drone is underpinned by the sort of crippled groove once rocked by the much-missed analogue synth-heads Add N to X. 'Yatton' sounds closer to Barrow's vision for the album of "trying to write some groove music". If that sounds like a naff 60s anachronism, don't worry – you'd be quite happy if the propulsive Neu!-isms worked up here were to go on for hours. The motorik rhythms continue on 'Spinning Top', adorned by Barrow's disembodied vocals, before it all dissolves in a satisfying blast of distorted guitars. On 'Ladies' Mile' we're back in Carpenter territory, all anxious pulsing drones and tones, while the melody that emerges on 'Elevator' is a wheezing 1970s children's TV theme that's been left in the attic to decompose. The gigantic stoner riffs of 'Wulfstan II' pay homage to another of Barrow's great loves, the doom metallers Sun O))), but the dextrous organ line also nods to the Doors, as does the mournful Morrison-esque vocal intonation. 'Deserters' is close in spirit to the evocative pastoral psych-rock of Broadcast, while the churning, proggy 'Kidney' is a disconcerting closing statement. This trio of albums might not be the end of Barrow's fertile period as there are hints that a new Portishead album is in genesis. One thing you can be sure of – there will be some serious discussions in the BEAK> camp before they take this album on tour.